Our upstairs Self Storage units are easily accessed using our convenient goods hoist. 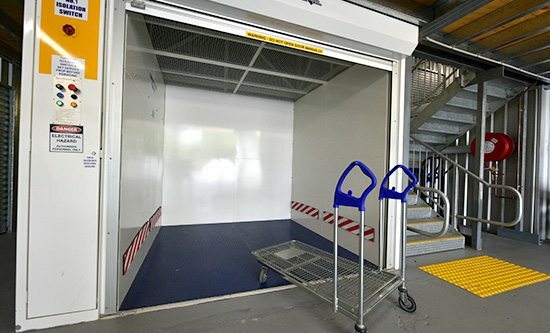 The ride-on hoist makes it easy to convey goods between the two floor levels. We proudly provide self storage in Perth, South Perth, Welshpool, Victoria Park, Belmont, Canning, Perth Airport, Bentley, Burswood, Ascot, Beckenham, Cannington, Carlisle, Cloverdale, Como, Ferndale, Karawara, Kennsington, Kenwick, Kewdale, Lynwood, Manning, Maylands, Parkwood, Queenspark, Redcliffe, Riverton, Rivervale, Shelley, and Waterford.